Servants of the god of destruction have marked your lifelong friend Fedwick as theirs for the taking. As a dwarven army veteran thrown back into action, you, the reader make the decisions. Will you recruit a religious zealot to your cause, or instead a lunatic tinkerer? Do you save a damsel, or go where the money is? Might you cower in the face of danger, or instead face it head-on? It's up to you, but be warned: The fate of a nation hangs in the balance. 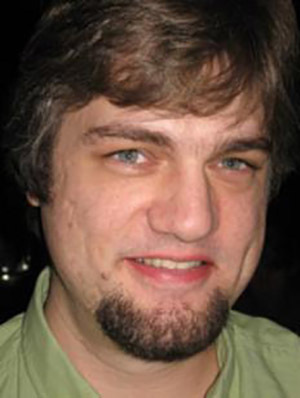 Daniel J. Heck is a 2004 graduate of Iowa State University, and has been writing fantasy novellas and gaming-related non-fiction for about five years as of this publication. He lives in Des Moines, Iowa, with his loving wife Michelle, and his hobbies include competitive Scrabble, Lego design, and community theatre. Really enjoyed reading and re-reading this interactive novel discovering all the possible endings. Recommended to all the 50 pluses who still enjoy an adventure! Just downloaded the next in the series. 5.0 out of 5 starsIndiana Jones as interactive fiction. I've noticed interactive fiction is making a comeback and with digital readers, these "Choose Your Own Adventure" style books have a lot of potential. 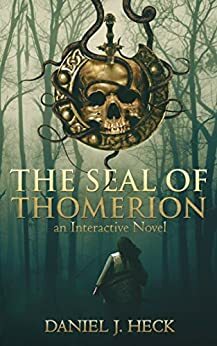 I came across Daniel Heck's Seal of Thomerion and gave it a read. I have a hard copy of this and read it on digital. The writing is solid and the decisions are well laid out. The writer starts the book by explaining that there are multiple endings and even has a page where you can write down key words that you will use to determine decisions later in the book. This is a unique spin on the classic Choose Your Own Adventures, which played out more like a maze with dead ends and felt more like a game than a story. The Seal of Thomerion is more advanced as a story, as if the teenage CYOA books needed an upgrade into a mature book with the same concept. This book pulls it off quite well, and is an interesting enough quest that even after I came to an end, I wanted to start over. It's hard to critique a book when you've read one story within a dozen, but if you pick up this book and want a good interactive story, you won't be disappointed, even if you don't end up with the best outcome of the book. I imagine you can read this book a dozen times and grow frustrated wondering how to do it right. Lastly, though I didn't end up on the path that would allow me to play, there's a card game somewhere within the book. This is an amazing accomplishment for interactive fiction. 4.0 out of 5 starsLooks very tempting! I read a review of it. I really enjoyed reading this book and thought that it was well written. The interactive nature of it brought back some great memories of reading choose your own adventure books when I was a child. This is not just a children's book, though. I would recommend this book to people of any age. The characters are well thought out and there is some good, albeit difficult choices that you have to make. 5.0 out of 5 starsDefinitely worth the read! Never thought I would enjoy an interactive, fiction book. The Seal of Thomerion keeps you wanting to see what happens next while allowing you to decide what happens next. I would recommend this book to anyone who is looking to support an up and coming author and a book that gets you involved in the story telling. Definitely worth the read!